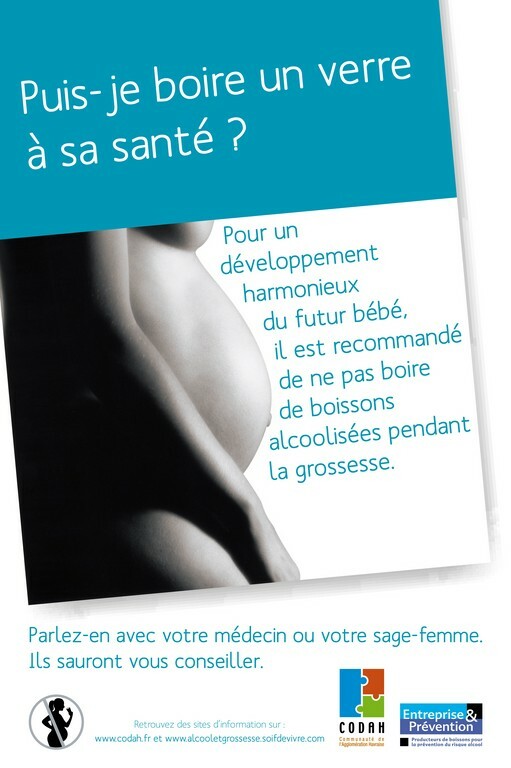 To inform pregnant women of the risks related to alcohol consumption. An information leaflet: "Puis-je boire un verre à sa santé?" (Can I toast his health?) distributed via gynaecologists. 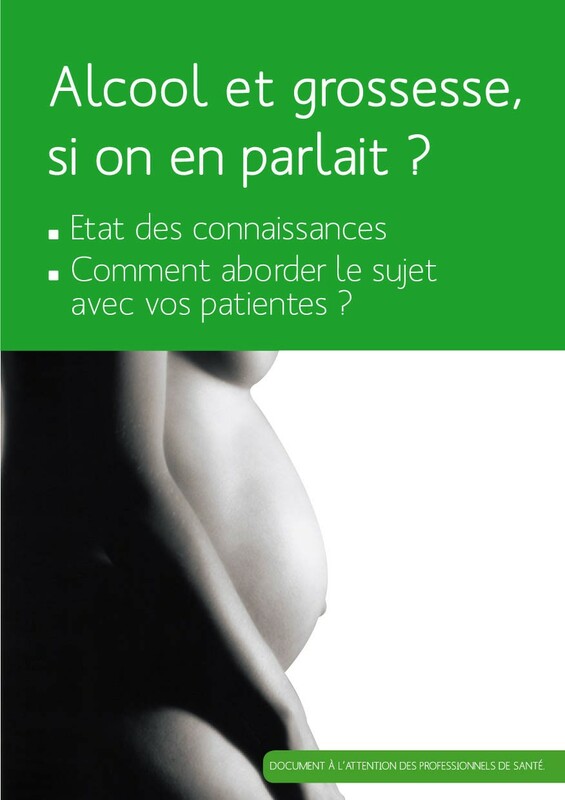 A guide for medical staff "Alcool et grossesse si on en parlait?" (Alcohol and pregnancy, let's talk about it) promotes dialogue on alcohol consumption between a woman and her gynaecologist. 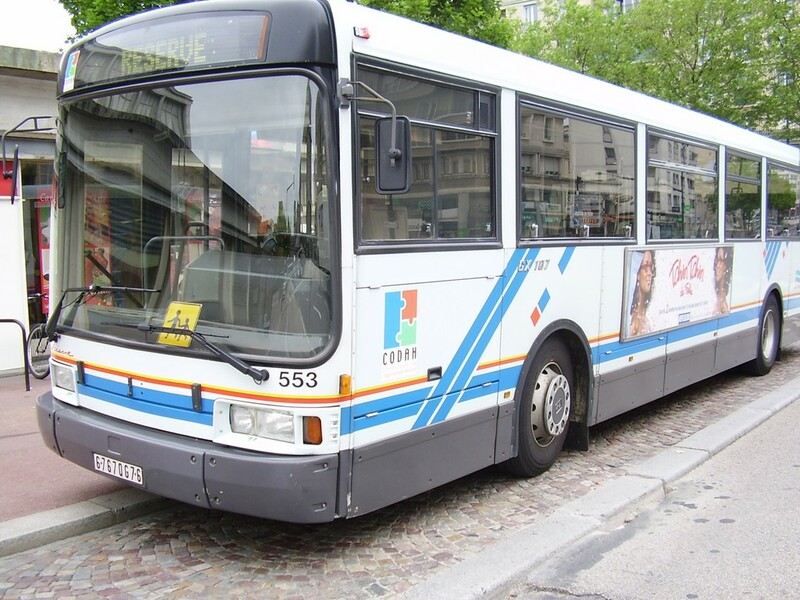 Following a pilot in Le-Havre during 2006 and evaluation report in 2007, the campaign is run nationwide. It can be ordered on the Avec Moderation! website. 95,000 kits were distributed until December 2016 (leaflet, poster and guide). No further kits will be distributed but the materials can still be downloaded from the Avec Moderation! website. 88% judged the campaign useful. 46% stated that they had improved their knowledge of the risk of drinking alcohol during pregnancy (69% of pharmacists and 68% of nurses). 76% would like the campaign to be permanent. 63% thought that the campaign tools facilitated dialogue with patients and 33% thought that the resulting dialogue could prevent pregnancies exposed to FAS (Foetal Alcohol Syndrome). 34% thought that the recommendation of total abstinence could make mothers feel guilty. 64% thought that of alcohol as a taboo subject that was still difficult to discuss with their patients. 89% believed that the brochure would answer questions that women may raise. 88% thought it was appropriate for pregnant women to consume alcohol occasionally. 70% believed the campaign to be helpful for pregnant women who have difficulties in their levels of consumption.